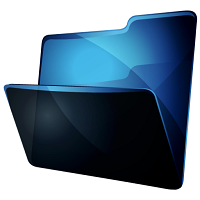 In the file system, we have directories or folders to keep related files. Similarly, PHP namespaces are used to have related code blocks of a PHP program that are reusable, like, classes, functions, interfaces under its reference. And, PHP namespaces can also capable of containing constants. With PHP namespaces, we can have the following operations listed below. Grouping related PHP code blocks into one scope or space to refer in future. Creating functions or classes with the same name that already exist in user space or internal code structure without name clashes. Getting current namespace with appropriate PHP keyword or constants. Importing external classes, interfaces, and namespaces with an alias. Aliasing will avoid name clashes and for shortening the name of imported blocks for easy readability. Aliasing or importing are not applicable for importing external functions. Accessing classes, functions and etc., from global space. PHP namespaces are declared by namespace keyword followed by name of the namespace. And, importantly, this namespace declaration should be a very first line before writing any code to our PHP script. But, there is one exception, that is, it allows PHP declare statement before namespace declaration. Following PHP code shows how to declare namespace contains PHP classes, functions, and constants. So, we have created a namespace named as Database, containing classes and functions to handle database related operations. Simply, we have a class with a constructor to initialize class properties, while creating objects, and we have a function under this namespace to print initialized value. Since it is a namespaced class and function with the name of the class will not be treated as a constructor, we have used __construct() magic function. Otherwise, no initialization will be done for any object. There are various ways in accessing namespaced classes, functions and etc. These are listed below. The above code will search for the namespaces Database and then specified classes and function under this namespace. So, the above code will create the same effect as that of normal access, without any class not found errors. We should not add backslashes following this constant. Instead, we need to separate it by using PHP dot(.) Operator. Hope this article will help to gain basic knowledge about PHP namespaces. But, This is only an introductory article. We will see more in future.